As Kurdistan Workers’ Party (PKK) terrorists are being eradicated from Syria’s Afrin, messages of support to the terror group came from Egypt and the UAE as the terror group is seeking allies in the region. After being exposed as possible partners in the dirty plan hatched for the region by the Israel, U.S. alliance, it is being evaluated that PKK’s new allies in the region could be Saudi Arabia, the United Arab Emirates (UAE) and Egypt. 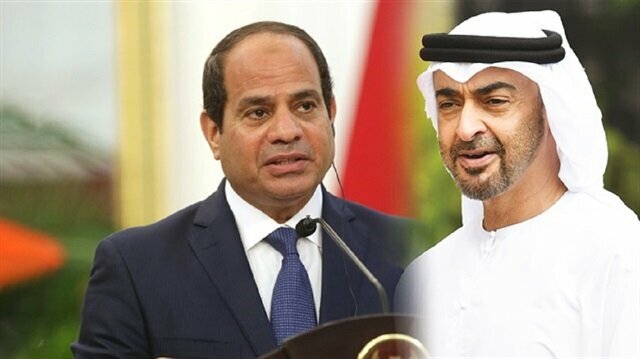 Statements leaked to the media revealed that the PKK/PYD is hopeful of receiving support from the UAE and Egypt. On the other hand, Saudi Arabia in recent months pledging a budget of $1 billion revealed its support of the reconstruction of the PKK-occupied city of Raqqa, which was leveled to the ground by U.S. bombs. Turkey on Saturday launched Operation Olive Branch to remove PKK/KCK/PYD-YPG and Daesh terror groups from Afrin.